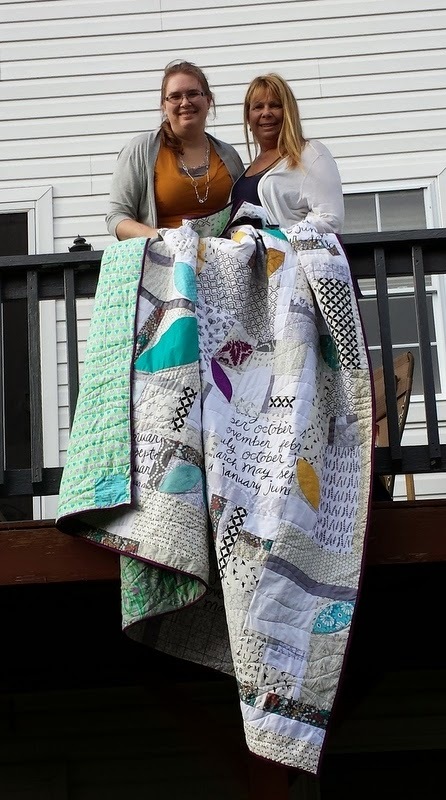 You did a FABULOUS job---you have every right to be proud of this accomplishment---am totally in love with this quilt!!! 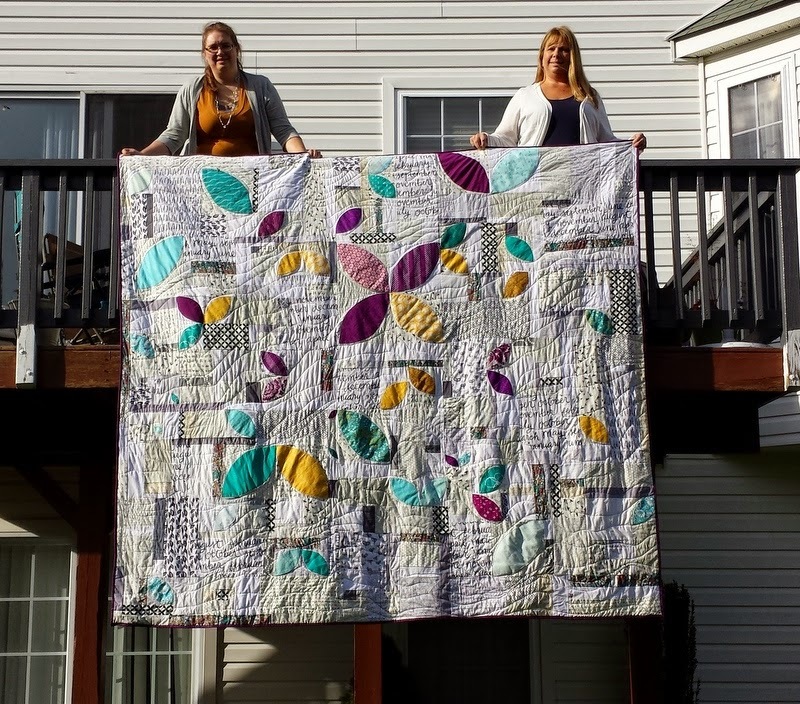 Fabulous quilt with a beautiful story!! Hurray! It turned out so nice! Your mom (and dad) are super lucky, that is a super nice birthday gift! Good thing your mom had a deck for you guys to hang it off of. I will totally hold you to "good quality flannel back is just the same as quilting cotton backing"! this is beautiful, Jess! I love it! 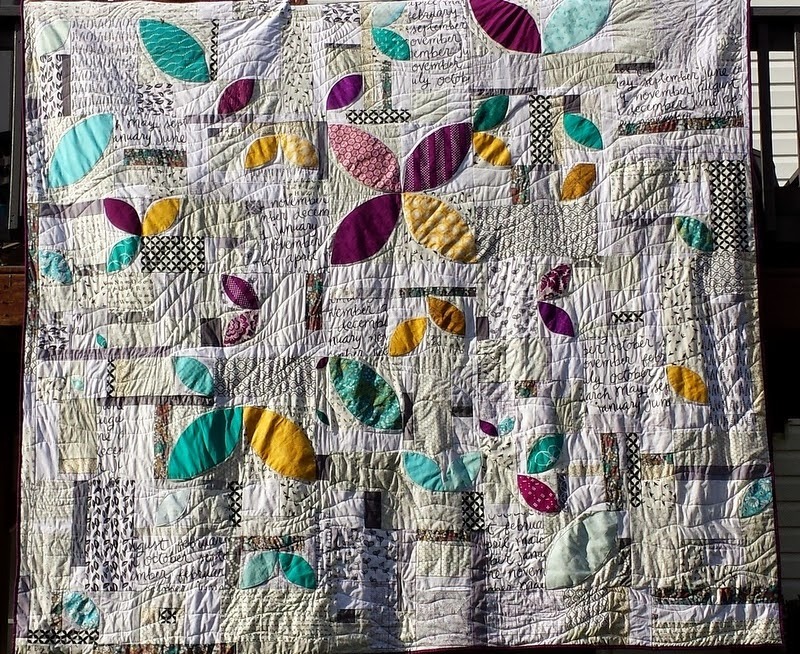 What a gorgeous quilt - I love the colours and I love the fabrics. Your mum and dad are very lucky to get such fabulous quilts on a routine basis. I'm signed up for your class at Mid Atlantic Mod and I can't wait! I love this quilt. 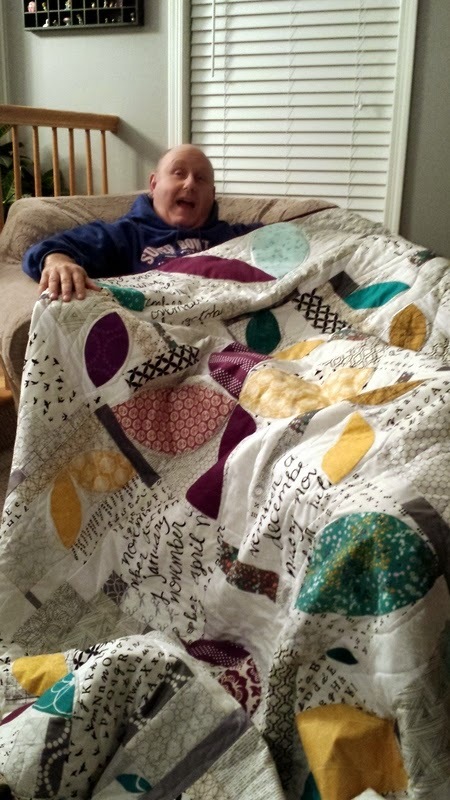 That is a HUGE quilt and it looks fantastic! It looks fantastic, and just so wonderfully comfortable! I love your variety of low-volume black & whites! That's something I'm trying to build up; I have a muted/low-volume quilt planned that I'm excited about. Lucky Mom! 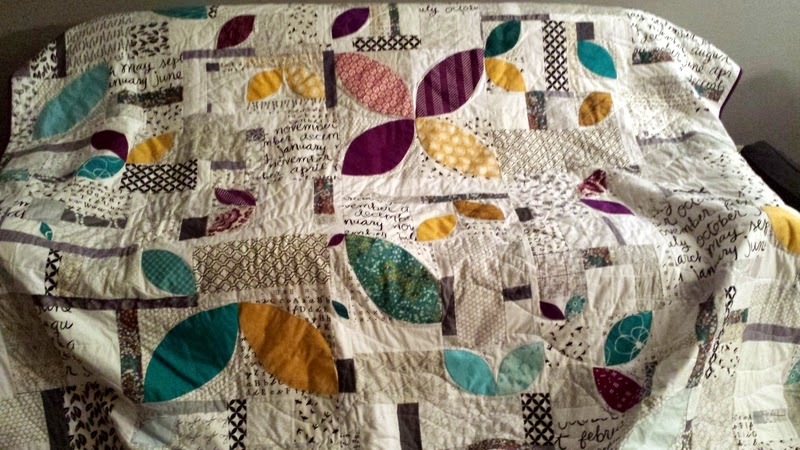 I LOVE this so much :) The quilting is so wonderful too. I never thought to do wavy without it going straight across or up and down. Another...why didn't I think of that moment lol! Wow! 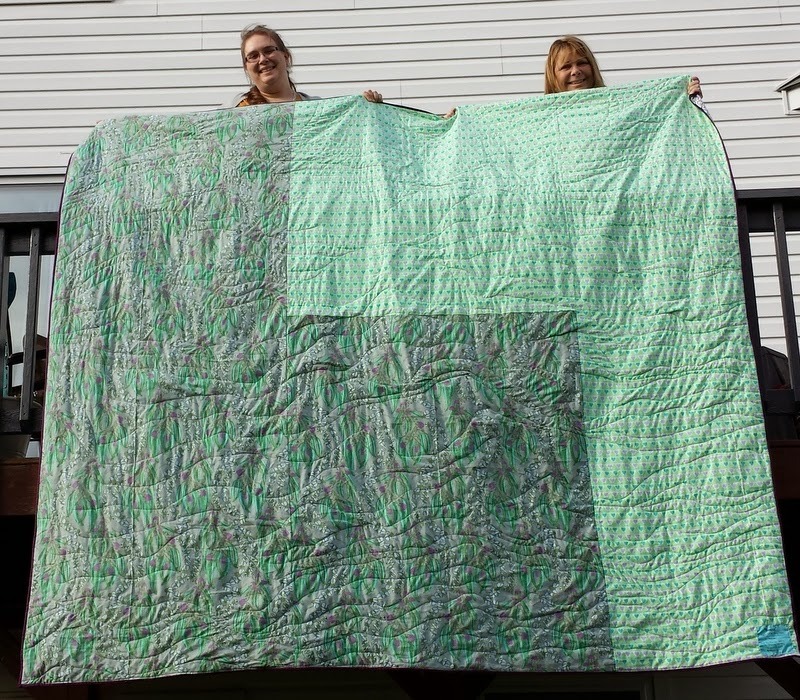 That is one big quilt! I'm so glad your mum loves it. Congratulations on a sell-out class. Enjoy! This is a lovely quilt, what a great present for your mum! I love orange peels, and this is such an interesting twist on it! 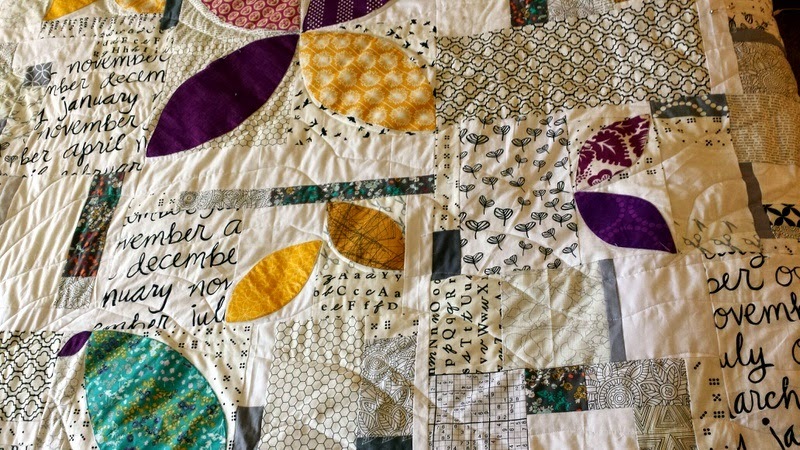 What a creative, gorgeous quilt! Love it! This turned out beautiful. 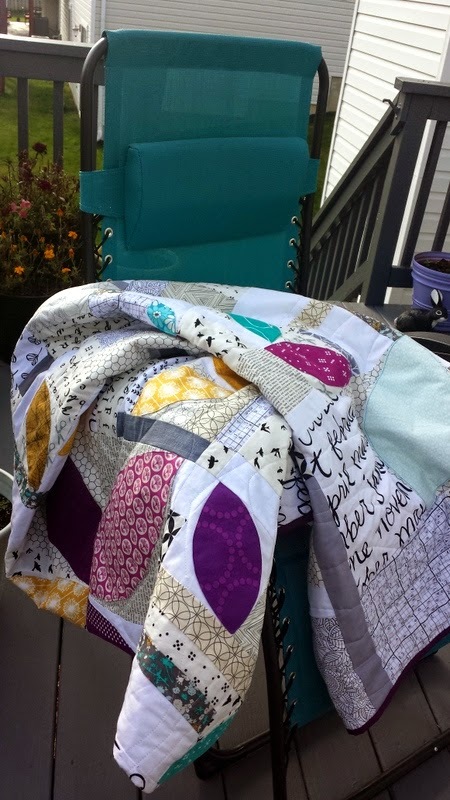 Your quilting is so fun, Thanks for sharing!!! 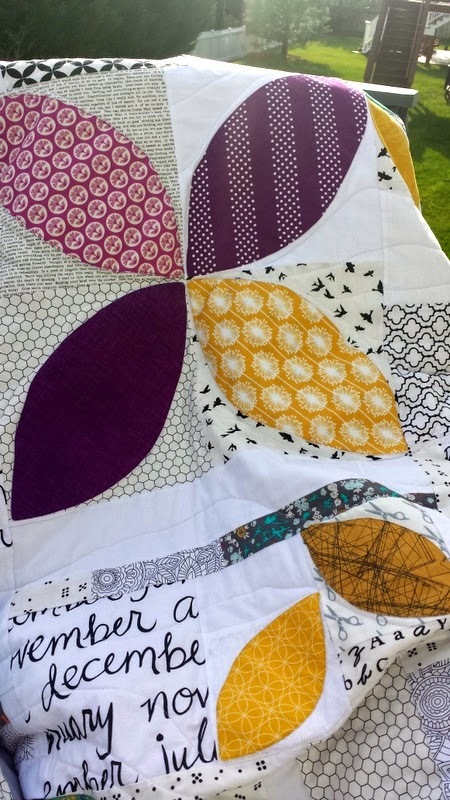 I love this quilt - it's perfect! And you're right - sometimes quilting can be a very physical sport! OMG how did I miss this post?! 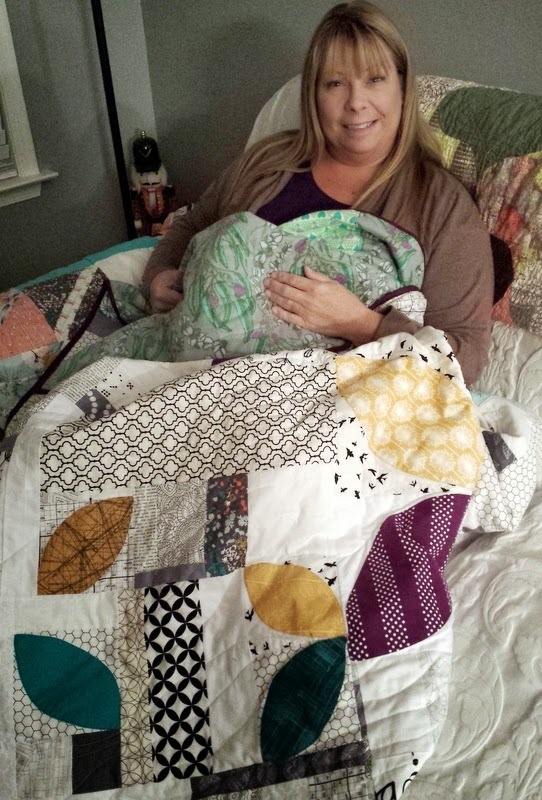 This quilt tuned out so beautifully, your mommy is so spoiled! I really admire your gumption quilting that beast on a home sewing machine, and with flannel backing to boot. Congrats hon, you deserve like 10 cocktails (and a fabric store!) for finishing this one! 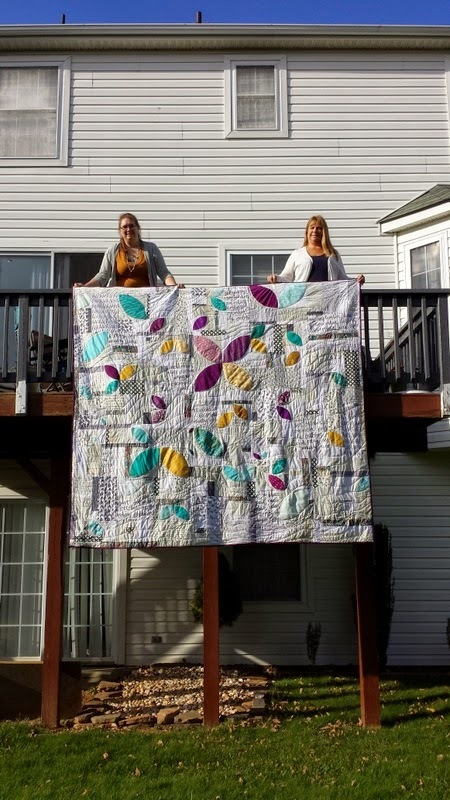 What a huge and gorgeous quilt!! Makes me weak in the knees just thinking about quilting it all. 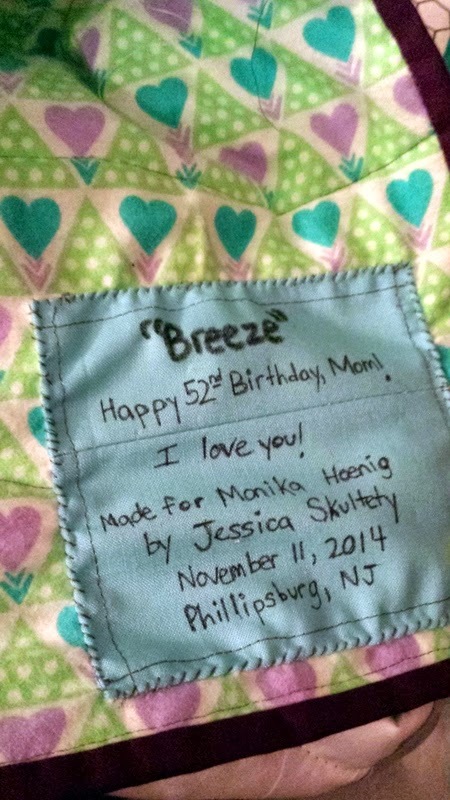 So sad to hear about your stash running low *sniff sniff* You must add to it ASAP ;) I bet your mom is in seventh heaven over this quilt, how very special. Wow Jessica - I admire you for tackling a quilt that big! It turned out great! Love the low volume fabrics with the orange peels! It's gorgeous and I love the colors! 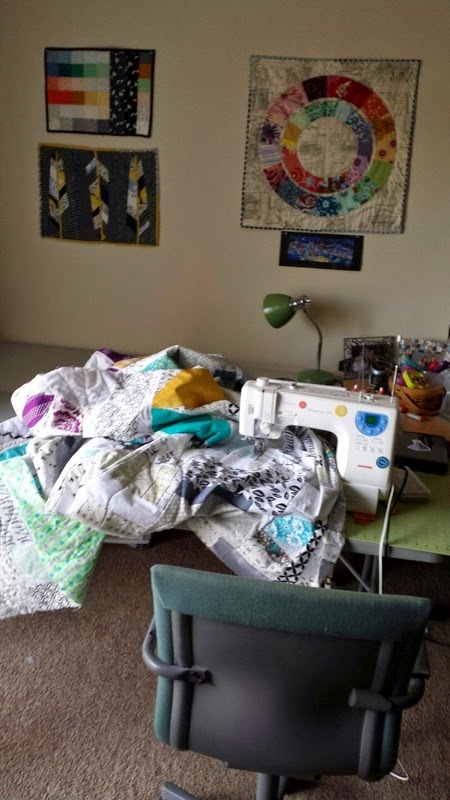 I'm still working up to a full-size quilt -- my nerve is still failing me for quilting it on my home sewing machine! I'm going to get there eventually. Your mom is very lucky. It's beautiful! Absolutely gorgeous! 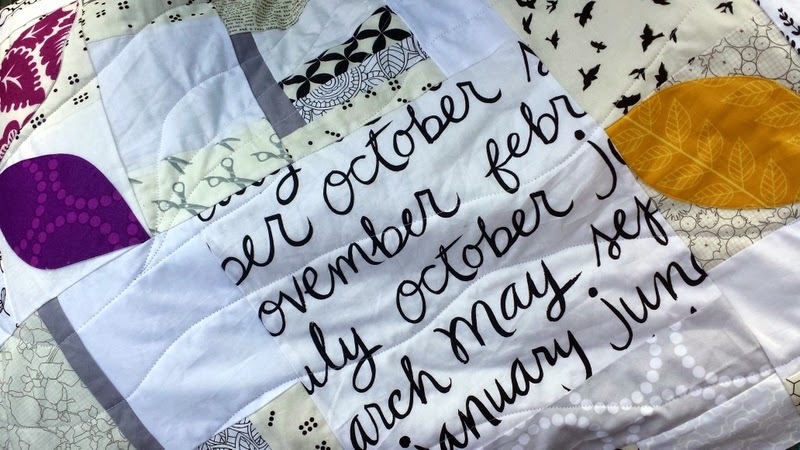 I quilt my projects in my Bernina, and know how tough it can be when they are large. I have a king size 'flannel' (!) quilt top waiting to become a sandwich and be quilted. It will be soooo heavy! Brava! What a fun quilt - Great colors. I also love a quality flannel for a backing. Same with a soft-handed micro-wale corduroy or quality minky. Fabulous gift here for your mom!! Huge! You are so brave but it looks awesome!